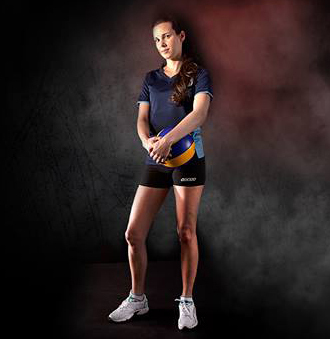 Take to the court with confidence and dominate the competition. 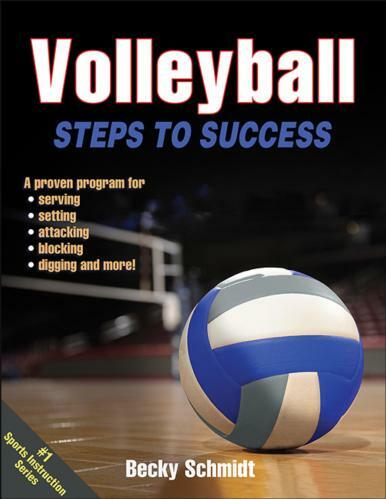 Volleyball: Steps to Success provides comprehensive instruction in a unique progressive format that will have you digging, blocking, and racking up the kills in no time. With 64 on-court drills and technical instruction for all of the game’s essential skills, national championship coach Becky Schmidt sets you up to become a well-rounded player capable of playing any position on the court. Master individual skills such as serving, passing, and setting through detailed skill instruction, court diagrams, and full-color photo sequences. Then progress to valuable tactics and strategies that will help you become an on-court leader for your team. Learn how to determine your opponent’s strengths and attack the weaknesses. Read your opponent’s offense to be in the right position to dig hits and begin the counterattack. Be the player you always wanted to be. As part of the popular Steps to Success series, which has sold more than two million copies worldwide, Volleyball: Steps to Success is your guide to on-court success.